LOTUS is embarking on an ambitious recovery programme, which will see production treble in the next five years. Among the cars on the drawing board are an Esprit replacement, an all-new mid-size sports car and fresh versions of the Elise. The first fruits of the firm's renaissance are seen this week thanks to the release of pictures of the new second-generation Exige. It goes on sale in March for around £33,000 and is the first Lotus to be powered by Toyota engine, the 190bhp 1.8-litre unit from the Celica T-Sport. Two years ago Lotus lost £43 million and the company was forced to axe jobs and freeze new-car programmes. However, in an Autocar interview this week, deputy chairman Victor Kiam revealed the company is now making an operating profit to fund new models. Kiam pledged to expand production from 2000 cars last year to 6000 in five years' time, fuelled by a replacement for the Esprit. Although no longer on UK sale, the current Esprit continues in production for the US market. An all-new model is likely to retain the Esprit moniker, arriving in 2007 with a sales target of around 1000 a year. Slotting between the Esprit and Elise will be a new mid-size car. The previous project, code-named M250, was canned because it was not suitable for world sales, but this time the car will be developed with global appeal in mind. Expect it in 2008 with around 2000 sales a year. Lotus plans to share technology across its range. So instead of physically sharing platforms, they will each use similar modules, wiring architecture and tooling to save costs. Expect new alloy and composite materials to feature too. 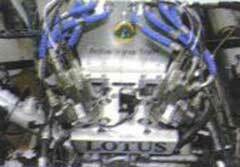 Kiam said that Lotus's problems had forced it to become smarter. It has cut the production time for an Elise down from 140 hours to 100 hours. There's more than just new metal in the pipeline at Hethel, Lotus Engineering has 12 major high-tech projects underway, from active ride control and anti-noise, to composite material development and active valve actuation (above). The group's £150m turnover is evenly split between engineering and car production  and a massive 80 per cent of consultancy is currently for parent Proton. When Victor Kiam landed at Lotus two years ago, it was difficult, at first, to look past his name. It simply seemed too extraordinary a twist of fate that a Malaysian financial fixer installed by Lotus's owner, Proton, should bear the same name (but for a stray 'i') as a white-haired Yankee businessman, now deceased, who famously bought the Remington company because he liked it, then went on TV to tell the World. In all the hubbub and hilarity, Lotus's Victor and his important mission were glossed over. Then, when the dust settled, it became clear that Kiam was in town to do some very dirty jobs: to retrench several hundred Lotus staff (including engineers, hitherto in short supply) with the aim of cutting costs to get the company back on a solid financial footing, a task begun by his short-lived predecessor Terry Playle. Lotus was in serious trouble. It had recently announced a £43 million loss, it was having trouble getting its revised Elise into production, its deal with GM to build the VX220 (aka Opel Speedster) was in difficulty because it couldn't meet speed and quality targets, and it had publicly committed itself to a model between Elise and Esprit, code-named M250. In support of these things it had built new factories and revised old ones, launched an expensive Elise racing series and upgraded its famous Hethel test track. Then, after 11 September 2001, the engineering consultancy, which had been on the wane, hit the buffers. Clients baled out in droves, taking projects back in-house. Something had to be done quickly. Playle summarily killed the M250 project because it was too expensive and too 'Eurocentric'. What was more the company had already diverted too many staff from its engineering consultancy to chase problems with car production, and the M250 timetables simply could not be met. 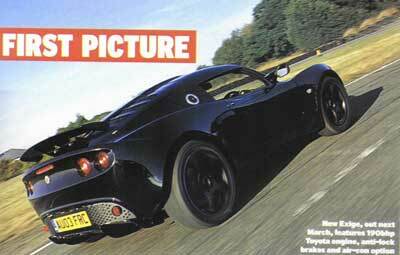 Playle left the door open for Lotus to produce such a car in the future, but only if it could be a worldwide seller. Then he turned 70 and retired. Victor Kiam arrived from the management of Proton UK, and Lotus's belt began to tighten even further. The new boss  his official title is deputy chairman  didn't have much good news to spread and wasn't used to talking to the press anyway, so the company went into a long period of silence, coming out of its shell only to publicise some pretty doubtful 'needs must' Elise special editions, and to try to quell the worst of the job-cuts stories in the local press. As soon as he starts to speak, you warm to Kiam. He talks rapidly, the thoughts tumbling out almost faster than he can form the words, but he has an Asian humility and willingness to listen which is at odds with the Western way of doing things. It's the speed of his brain that conveys authority, not bombast. The official story is that Lotus is now managed by consensus, with half a dozen experienced Hethel senior managers like Simon Wood, long-serving director of Lotus Engineering, to provide what Kiam terms the 'tekkie' input. But it's pretty clear Kiam's agenda is the one that matters, and first on his priority list is building Lotus into a stable, profitable company. After the Elise hits the US market early next year, Kiam expects cashflow to speed up. After selling about 100 cars across the pond in the past few years, he's hoping volume can rise to between 2000 and 3000 cars a year. That will be the move that decisively restores Lotus to profitability, he believes. Beyond that, it's a matter of launching new models to entice buyers: continuing upgrades and advances for the Elise  and two new models. Work is beginning now on a new Esprit, the mid-engined supercar, with a plan to launch it for 2007 model year, and there will be an M250-style car as well, targeted at Porsche's Boxster, 12 to 18 months later. Kiam's plan for Lotus, five years hence, is that it will be a company with a £350 million turnover (£150 million now) with the earnings split two-to-one in favour of car production (at present it's about equal). By then Lotus should be producing 6000 cars a year in three models: 3000 Elise and Exige, 2000 Boxster-chasers; 1000 Esprits  and about half of them targeted towards the US. 'At that stage Lotus's shareholder (only Proton, since it acquired Romano Artioli's 20 per cent last year) will be getting what Kiam terms 'a proper return on its years of investment'. Racing will always be important to Lotus, he believes, but only the kind that involves production cars. F1, he believes, is a bit too expensive. But after a period of stringency the company will come back to supporting racing series around the world, and produce the performance equipment (through its Lotus Sport and Performance arm, on site at Hethel) which competitors will need. Contrary to his man-of-mystery image. Kiam is a day-to-day Norfolk resident, whose work base is in Hethel, and who sends his kids to the same school as Simon Wood's. He travels a lot, choosing and appointing importers (as you read this, he's just back from Mexico), and enjoys the independence of operation a little company far away from the smoke of Norfolk. The quality of dealers and importers is one of his hobby horses; Lotus halved its German network some time ago, because Kiam wanted quality, not quantity. If you have any information or comment on this page. Feel free to e-mail at kato@lotusespritworld.com.